Good news! 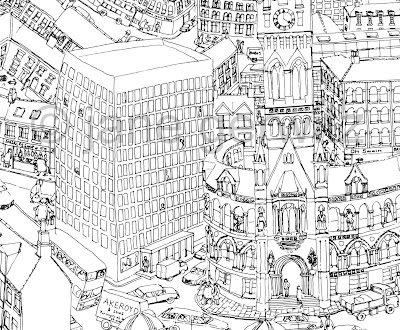 The original pen drawing of 'Bradford Before the Hole' was sold at the launch exhibition of the new offices and website of Fabric - Forum for the arts in Bradford in Little Germany - click on the image to see a bigger version. The 'Made in Bradford' exhibition comprised 21 artists and photographers work, inspired by the Bradford district. The new office space is lovely and in a great situation opposite Bradford Cathedral. 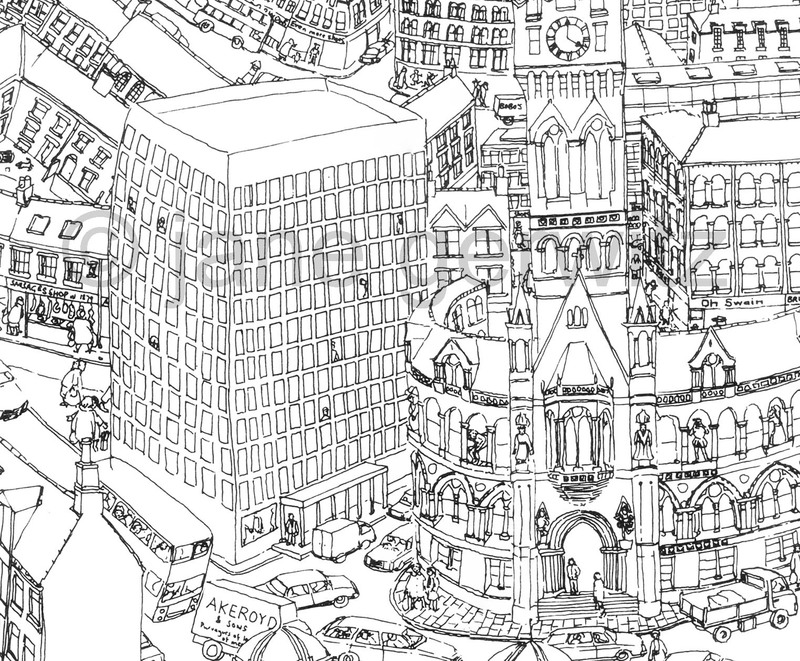 I'd already sold 5 pieces of work, including two prints from the Bradford picture, from the Bradford Chamber exhibition (more available of the limited edition print). What with the 'Wedding of the Year' in August, I've had a good summer! Anyway, many thanks to artist and printmaker June Russell junejrussell.co.uk, Gideon Seymour of Fabric and Richard Sara-Gray of Bradford Chamber for making all this possible. If you want to see more work have a look at my website I'm now busy with a commission for illustration on a website, so back to that now!